Update: Honda Showroom Selling at RM49.90? This picture taken yesterday at Jusco Mid Valley. 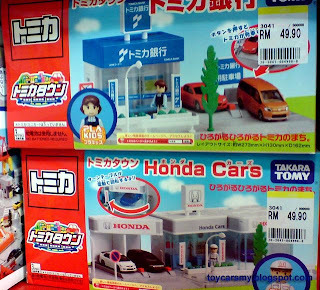 Tomica Honda Showroom have started to hit our stores. But this is not the topic today, instead, I would like to highlight on the price tag on the box. It is selling at RM49.90, which same price with Bank box.